1. Could you briefly outline the key findings of your paper? We reported infrared photodetectors based on a new ultrahigh-mobility layered oxide semiconductor, Bi2O2Se, which was recently discovered by our group. We find that the 2D Bi2O2Se based photodetectors have high sensitivity (~65 A/W at 1200 nm), wide response spectrum from visible to 1700 nm, and ultrafast intrinsic photoresponse of ~1 ps. The ultrafast response indicates the detectable frequency limit as high as ~500 GHz. Such performance is attributed to ultrahigh carrier mobility (~28900 cm2/Vs at 1.9 K and ~450 cm2/Vs at room temperature) and suitable electronic bandgap (~0.8 eV) of Bi2O2Se. 2. What is your role in this work? I conceived and designed the experiment together with other authors. I also supervised the project and was involved in nearly all the discussions. In addition, as the project had four equally-contributed authors, I was also responsible for coordinating all the authors. 3. What was the genesis of this paper? How did you come to this particular problem? We firstly reported a new 2D materials Bi2O2Se before this project. Then we realized that it had proper band gap around 0.8 eV and high mobility, which was essential for high-quality infrared photodetectors. In addition, recent founding by other groups have shown the potential of 2D materials in adapting to silicon circuit. This have supplied another solution for low-cost infrared imaging technology. Therefore, we were motivated to see how Bi2O2Se could work in infrared photodetection. 4. What is the most empowering implication of your results? We have shown that 2D Bi2O2Se has excellent stability, flexibility and potential of mass production. Therefore, Bi2O2Se detectors may open new possibilities in highly-sensitive, high-speed, low-cost and flexible infrared photodetection and imaging at room temperature. 5. How have 2D materials been uniquely instrumental to enabling these results? The motivation of this work is based on the unique properties of 2D materials. They not only have strong light-matter interactions, but also have dangling-bond-free surfaces. This allows them to adapt to well-developed silicon readout circuit such as complementary metal-oxide semiconductor (CMOS) and take advantage of silicon industry. Therefore, 2D infrared detectors can reach larger number of pixels, higher frame rates and more on-chip signal-processing functions. 6. Can you describe the main challenges associated to the preparation of this manuscript? Any anecdotes you’d like to share with us? We have been working on this project for about 3 years. In between, one of the authors who was leading the project had to leave our lab. As a result, another author had to take over in a short time and continued to work on it. Therefore, we encountered problems such as knowledge transferring. This took us some time but we finally made it. 7. Anything that stroke you as particularly surprising, unexpectedly pleasant/unpleasant during the peer review process? Our peer review process was smooth and pleasant. All the reviewers agreed on the novelty of our infrared detectors, but two of them asked for more explanation on physics behind our experimental findings. After we added more details to the mechanism, all the reviewers drew positive conclusions. Thanks to the peer-review, we feel that the paper after revision is more complete. 8. What is your favourite 2D paper published in 2016/2017, and why? Of course, I like our recent work on the discovery of a 2D ultrahigh-mobility oxide semiconductor Bi2O2Se (Nature Nanotechnology 2017, 12, 530), which identified a new air-stable 2D material with both high carrier mobility and a large electronic band gap. Furthermore, my favourite 2D papers in 2016/2017 is Nature Photonics 11, 366–371 (2017) with title of Broadband image sensor array based on graphene–CMOS integration. The paper shows the potential of 2D materials integrating to silicon industry. Another of my favourite papers is Nature 556, 43–50 (2018) with title Unconventional superconductivity in magic-angle graphene superlattices. This paper reported that twisted bilayer graphene may hold the key to the magic box of superconductivity. 9. Which is the development in the field of 2D materials that you would like to see in the next 10 years? The two favourite works I mentioned before representing two directions for the further development. In the next 10 year, I hope 2D materials find unique or killer applications which could be commercialized. On the other hands, 2D materials with several layer of atoms supply very simple platform, which gives great opportunities for scientist to understand basic physics and chemistry in condensed materials. 10. And now, what’s next? We are working on fabricating wafer-size 2D Bi2O2Se with single crystal nature. This is the cornerstone of many industrial applications, such as infrared photodetector arrays. Kanudha became a part of Condensed Matter Physics team at Nature Communications in November 2017. She graduated in physics from University of Delhi, India and was an Erasmus Mundus PhD scholar at Politecnico di Torino, Italy. 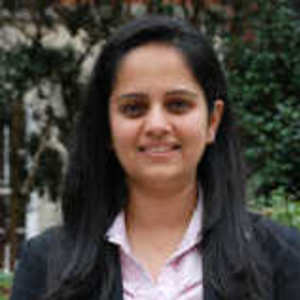 She was a postdoc at Imperial College London where her research focused on the fabrication and characterization of devices based on layered transition metal dichalcogenide materials for electronic and energy storage applications. Kanudha handles manuscripts on synthesis and wider applications of two-dimensional materials and their heterostuctures.